After several weeks, "Garden Designer" was finished. We sent it off to a magazine for review purposes. It was 1990, or thereabouts. I achieved fame only weeks later: the aforementioned utility appeared in Your Sinclair's Crap Game Corner, and was rated about 21° or something. 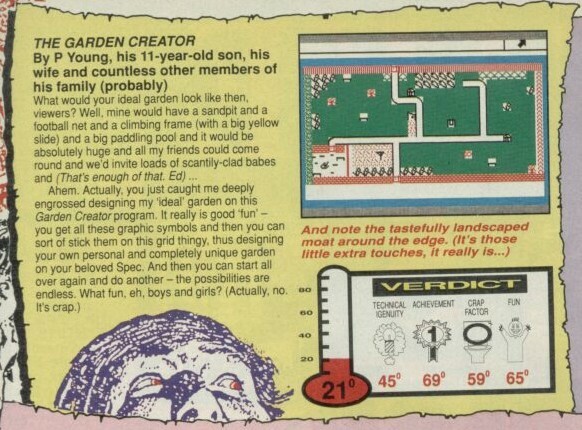 After a glowing review, where Rich Pelley designed his dream garden on his Speccy, he rounded it off with the classic phrase "(Actually, no. It's crap.)". I knew I was destined to become a programmer, so I spent the next ten years writing programs such as Oh No! Traffic Warden! 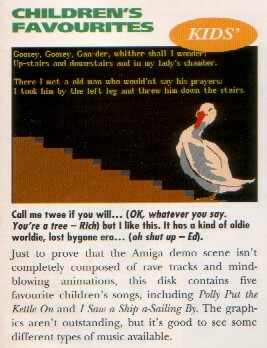 - of which a scathing review (in French) was written, culminating in the award of a Larusso d'Or (I don't know either), which never arrived despite it being twenty years between publication and me reading the review - Children's Favourites, which was reviewed in the special A1200 pack edition of Amiga Format (I read it only two years after publication), and FACTS, the Amiga Format review which I read only a month late. 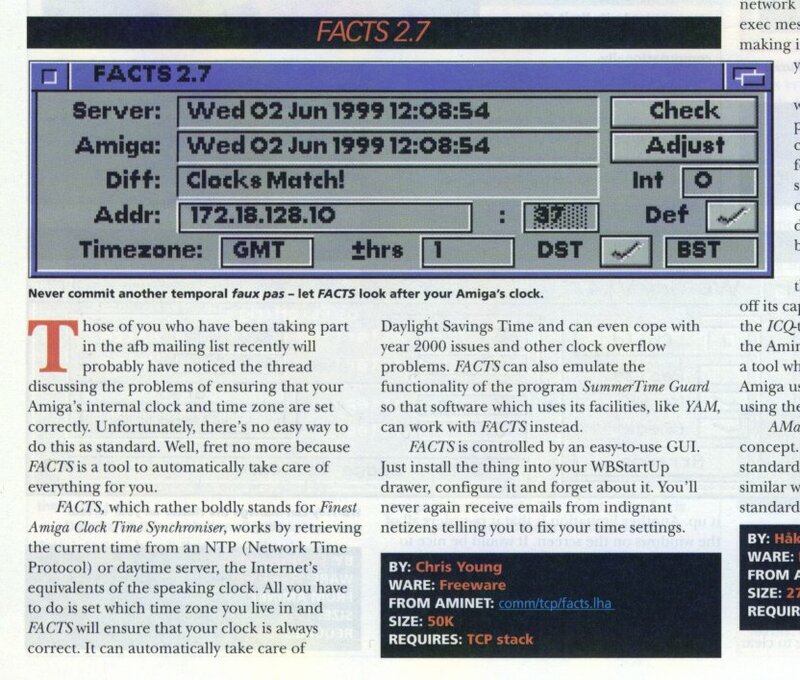 HWMRARFS was particulary popular - a £5 shareware database that probably cost more than £5 to send out the registered version and "all updates". Targetting potential alcoholics might have been a gold mine (we made at least £20), but after the success of the Complete Advanced Lawnmower Simulator package, I was running out of ideas. I was wondering whether programming was really for me. And then I read the review of Garden Designer.